What happens inside an artificial gravity lab? 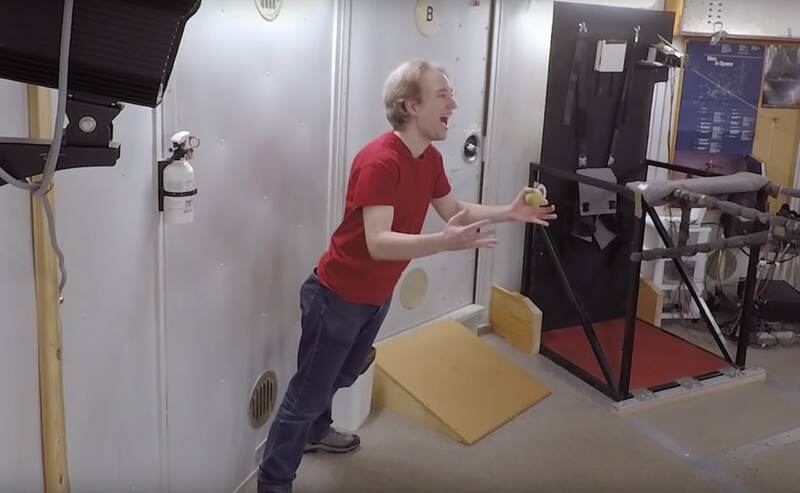 See what it’s like inside the Artificial Gravity Facility at Brandeis University’s Ashton Graybiel Spatial Orientation Lab. 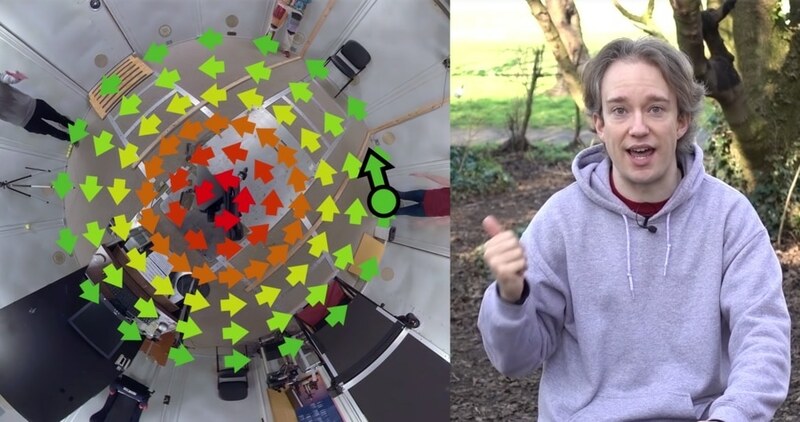 YouTuber Tom Scott tests his perceptions inside a rotating room “that mimics the effects of a gravitational force.” He quickly learns that his mind hasn’t yet adapted to the physics at play. And just wait until you see him throw a tennis ball. Astronauts typically have an allocated exercise period of two hours a day in space to counteract these effects… Despite exercise, it still takes months of rehabilitation to adjust on Earth after a typical six-month space mission. Next, watch This is What Outer Space Does to Your Body. Plus: Extreme Gs in a centrifuge – Simulating gravity on other planets, what it’s like to live in space with astronaut Chris Hadfield, cooking in space with ESA astronaut Samantha Cristoforetti, videos about zero-g, and more videos about spinning.